There are 30 days left of the Spring semester. It’s so crazy to me! Did I not just put up the Christmas decorations? (Oh, right, I did. It’s just that it was 3 months after Christmas that I chose to put them away…) Thirty days with which to invest our time as missionaries here at Ole Miss. What will we do with these fleeting hours? How will we invest our lives? How will we prepare for our summer assignment overseas? What will help students feel most cared for and how will they best be prepared to walk with God for a summer or graduates, for a lifetime? These are the questions burning on the minds of Joel, myself, our team and campus ministers everywhere. All of these questions bring us to our knees and we wanted to ask you to join us in praying for college students and for those who minister to them. Maybe it’s a university in your town or your alma mater. 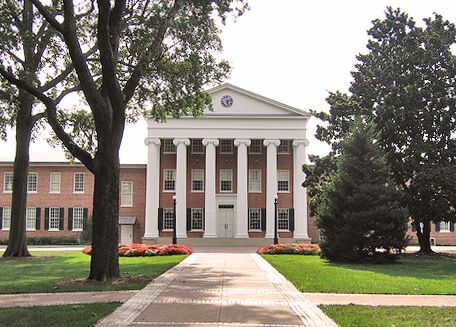 If nothing else, would you join us in praying for college students here at the University of Mississippi? Thank you for joining us in prayer for these world-changers!